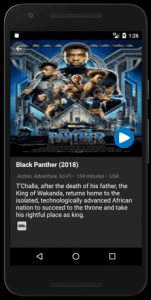 A preconfigured movie streaming app for android mobiles to watch newly released and most popular movies fast and easy. * Fetch movies available across the web. * Fetch the best quality streaming links available. * Adapt streams to the current internet connection speed. * Show movies within more than 15 genres. * Fetch a great selection of classic movies. * Use own powerful video player to stream movies. * Search for any movie online via search box. 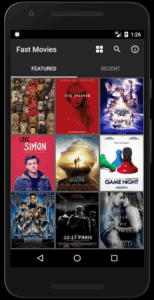 – Added loading more movies on pull. – Added more alternative servers for streaming. – Added multiple genre selection. – Fixed reported movie player issues.